Are you the left or right hand side? A blog post written by our student dental nurse Sabine. Are you on the left hand side or the right hand side? This isn’t just staining.. This is gum disease. This isn’t a Hollywood smile.. This is a healthy smile. Top 10 most common mistakes we make when looking in our mouth. I have no pain so I do not need to see a dentist.. Oral cancer can be pain free. Chronic infection can be pain free for a long time. Do your oral health a favour and visit your dentist on a regular basis- They are the doctors of our mouths! I can’t floss anymore because it makes my gums bleed.. Bleeding gums are a sign of our gums crying! They are in pain from plaque! Gums bleed because they are inflamed. Once the inflammation has calmed down from cleaning in between those interdental spaces they will stop bleeding and become happy and pink again! Its 2016 - why are you still using a manual toothbrush? Electric toothbrushes are easy to use, have timers so that you brush them for the recommend 2 minutes and they are better for hard to reach areas! Do not scrub your teeth so hard! Over-brushing can cause gum recession and damage the surfaces of your teeth. The gum you lose due to recession will not grow back! Go easy! Is like having a shower and not using any soap! Your toothbrush can’t get in-between your teeth so if you’re not getting into these areas you’re leaving plaque on around 40% of your teeth – these are the most common areas for decay and gum disease to start! Would you remove this plaque daily if you knew it contained all these bacteria and substances? Skin cells, food debris, toxins, acids and more! When is the correct time to brush? Once in the morning: To protect the teeth for the day and remove the bacteria created overnight. Once before bedtime: This is critical. The teeth have had at least 12 hours of bacteria having a party in your mouth during the day. It takes 12 hours to effectively create decay and harden plaque. That’s one day and night for dental problems to occur! It is clinically proven that fluoride protects our teeth and minimises decay. It is important to supervise your children while using toothpaste and to use as directed. Spit out the toothpaste and do not rinse it off. Well you wouldn’t want a filling would you? 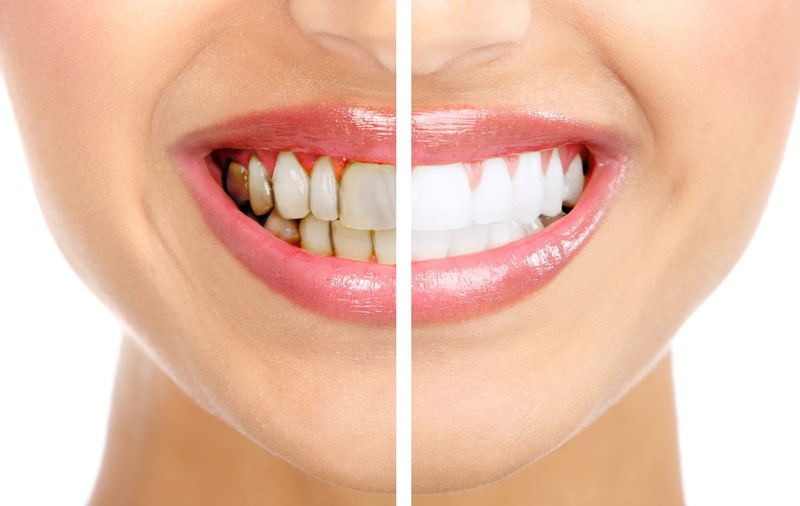 Tooth whitening products are becoming ever popular, this is because we all want that ‘Hollywood’ white smile. Whitening paste can be highly abrasive so be careful when using them, they may remove staining but cannot change the colour of teeth. Ask your dentist for tooth whitening! They are the experts! Brushing teeth after food and drink! We all want fresh breath! But please wait at least 45 minutes before brushing your teeth after lunch or coffee! Your teeth have just become soft and fragile from the food that you have eaten, brushing straight away damages your enamel! Enamel is very important for protecting your teeth. Let go of your toothbrush every 3 months! We clean our teeth to remove bacteria. Bacteria can multiply on your toothbrush. Most of us do not change our toothbrushes often enough. Your toothbrush becomes worn out and starts to harbour bacteria on the bristles and handle. Treat yourself to a new one once in while! In addition to tooth decay, tartar and fillings, smoking and drinking tea, coffee or alcohol are all reasons Why teeth can discolour. So for summer, Longborough Dental are reducing the price on teeth whitening treatments to help brighten your smile. For a limited period only we are offering £50 off our 'In-house Whitening' treatment and £30 off our 'Home Whitening' treatment. Just quote IHW2016 or HW2016 when you book at reception. *New Patients requiring whitening treatment will need a consultation first.